Magic Johnson Playing Tax Rates? Earlier this week, Earvin “Magic” Johnson, a former Los Angeles Lakers point guard, sold his 5% interest in the Lakers franchise. In addition, the Hall of Famer sold his 105 Starbucks franchises back to the company. Many speculate Magic made these sales in order to purchase an NFL team and bring the team to the Los Angeles area. However, overlooked by all of the media coverage is the savvy tax planning underlying Magic’s moves. The capital gains tax rate is set to increase in 2011 to 20%. With the 2010 calendar year-end quickly approaching, Magic made the deft tax move to cash out his interests at the lower 15% capital gains rate. Some may scoff at the difference between a 15% and 20% tax rate. 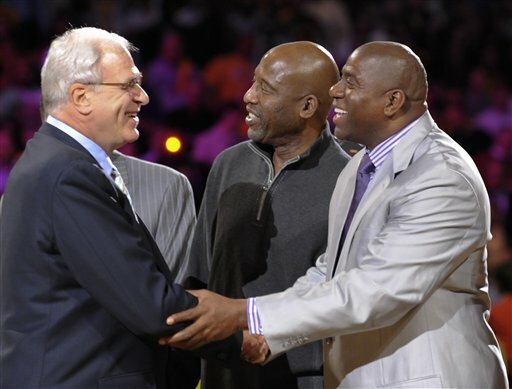 However, Magic reportedly purchased his 4.5% interest in the Lakers in June 1994 for $10 million. The Lakers franchise has an estimated value of $600 million. Therefore, Magic’s interest in the team is valued at approximately $27 million. Magic sold his shares to billionaire season ticket holder Patrick Soon-Shiong. Assuming Magic sold his interest for the full $27 million, by selling his Lakers interest in 2010, Magic saved himself a tidy $850,000 in taxes. Of course, Magic saved even more by selling his Starbucks franchises this year too. Those tax savings alone will go a long ways towards Magic’s recent purchase of a luxury suite at the Lakers’ home arena, the Staples Center.